Sambucci Bros Used Auto Parts have been providing the needs of car owners for reliable, quality auto parts for domestic and foreign-made cars since 1951. Over the years, we have grown our operation to meet the needs of automotive service providers while continuing to provide quality parts to the consumers who have come to rely on our commitment and service. Our satisfied car owners around the New York, Queens and Long Island areas and our longevity are a testament to the quality of our service. is a family owned business, established in 1951 and is represented by three generations. 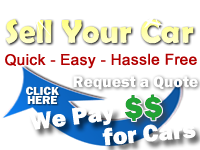 We are a leading supplier of used auto parts in the New York Area.